The Perfect Present – A Trip Away to Northumberland! What better gift than a break away to Northumberland? 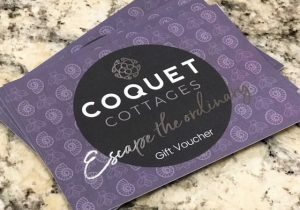 We offer gift vouchers for a specific holiday or vouchers for any amount with a minimum value of £25*. Please give us a call on 01665 710700 or email us to arrange your gift voucher, which can be either posted out or emailed to you. * Vouchers are valid for 1 year from the date of issue. If vouchers are unused after 1 year they become invalid and cannot be accepted. The voucher must be used in full if the holiday cost is equal to or greater than the value of the voucher. If the value of the voucher is greater than the cost of the holiday a new voucher will be provided for the balance amount which will have the same expiry date of the original voucher.